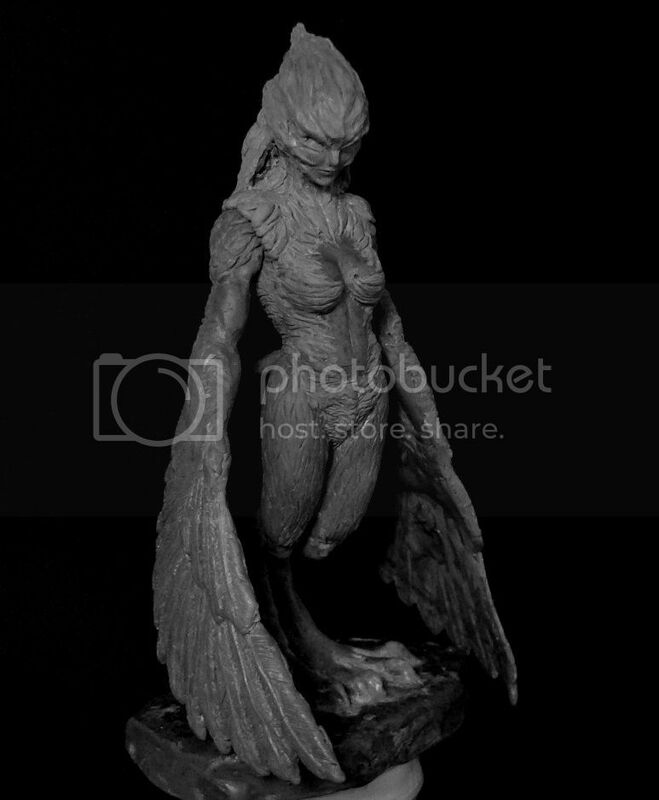 Monster Girls Creature sculpts series! One of my new year resolution is to sculpt more this year (and get more commissions done). So to start that off I promise myself to make a new figure every 2 weeks, more or less. I have this idea of making Monster Girls creature sculpts since back in 2007. So I thought this was a great time to get the project going. Currently I've sculpted 2 monster girls. The first one was Harpy and the second one was Nagja the gorgon. These and future sculpts will be made using my MwaxZ S sculpting wax. I will be sharing my method and technique in making them in this blog, Midztoyz facebook page and my tumblr blog. I usually update my tumblr blog first and then compile the posts there in this blog. I will also be making more videos on this, although not as a weekly scheduled upload like I previously intended. Producing weekly videos is a large undertaking. More pictures of Harpy and Nagja the Gorgon after the break. Very interesting video of artist Elenor Crook, a sculptor specialising in wax anatomical and surgical models, demonstrates a few of the techniques employed when making a wax model. She use a very brilliant technique in making skin texture. Watch it and you'll see. New video tutorial is finally up! This time we'll be sculpting feathers on a wing. As usual, I used MwaxZ sculpting wax for this demo. I learn how to do this from reading this article on sculpting bird wing. I recommend you check out the fur tutorial too. If you've been following my tumblr blog , you'll recognize this as the wings for my current Harpy sculpt. Sorry for the lateness. Making a weekly video is harder than I expected. Be sure to check back next Saturday for another new video!